Heritage Academy contracts an external transport provider, Henry Bus Service, to provide transportation for its students. The School will act as an introductory medium between Parents and Henry Bus Service. 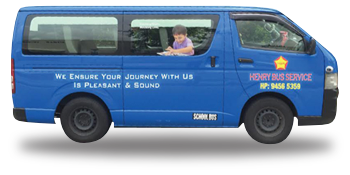 Subsequently, parents will liaise and make payment directly with Henry Bus Service.